Memory Card Recovery utility recovers deleted data from memory card of all digital devices like MP3, WMA players, camcorders, cameras, mobile communicator and cell phones. Card Recovery program recovers lost data from secure digital card, compact flash, flash memory card, Secure Digital SD (SDHC, micro SD, SDHC Plus, mini SD), Multimedia Card MMC, Memory Stick (MS Pro DUO, MS, Micro M2, MS Pro), Picture Card xD etc. Memory Card Recovery software recovers photos, audio, video files from all major memory cards. Software Supports recovery of all type of files saved in different extensions jpeg, jpg, gif, png, tiff, bmp, midi, mov, wav and many more. 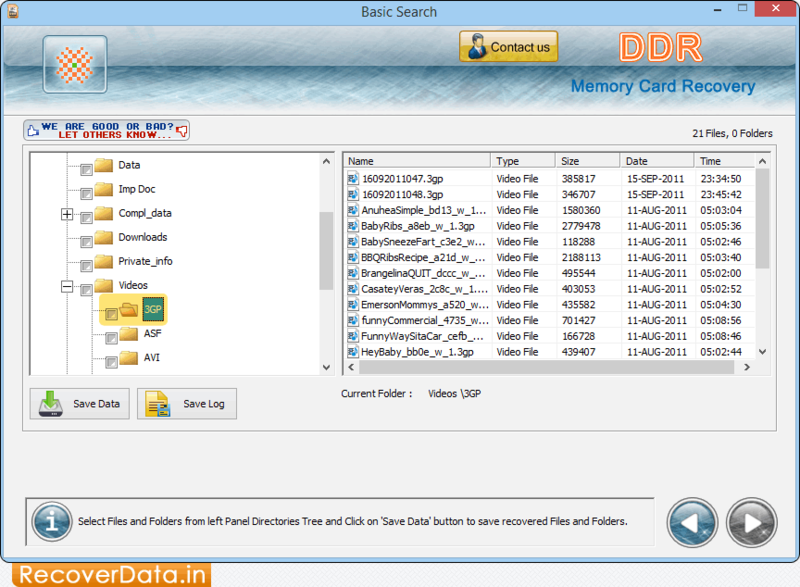 Memory Card File Recovery software recovers your lost data after formatting, accidental deletion or logical corruption. Recover data even if “Drive not formatted” message is displayed on your computer screen. Supports all brands of memory cards including Acer, Canon, Casio, Digital Dream, Kodak, Konica, Minolta, Lumicron, Nikon, Olympus, Panasonic, Samsung, Sony etc. Data Recovery Software for memory card recovers mp3/mp4 songs, photos, images and other data from memory cards.